A young high school teacher finds herself thrown into a net of life's realities after the sudden death of her husband. Unable to cope with grief and loneliness, she begins a life of psychological turbulence and illusions. She finds herself battling against a love which can hardly be defined as "platonic" and the deep religious feelings of love she has for Christ. To feel need, she takes upon herself the responsibility of taking care of her two aged parents. For five years she endures conflicting situations, praying for the mercy of God to restore normalcy to her life. The deep sensitivity of her feelings makes this story a religious experience for the reader and a psychological study for people unable to cope with sudden tragedies in their life. More than a story, this is a book you want to keep by your side as a medicaiton manual and a source of courage when you feel that life is too overpowering for you. 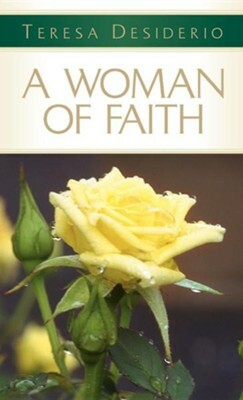 I'm the author/artist and I want to review A Woman of Faith.